I am a Senior Associate in the Dispute Resolution team. 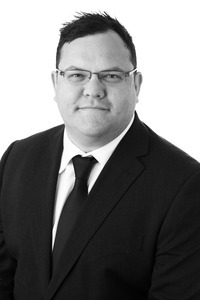 I specialise in assisting clients to resolve complex commercial disputes. Prior to joining Barlow Robbins LLP in May 2015, I spent 9 years with a national law firm where I focused on commercial litigation. This included a period of 10 months seconded to the in-house legal department of a major national retailer. I have extensive experience of advising on a wide range of commercial disputes across different industry sectors, including technology companies, the oil and gas industry, national retailers and education providers. I pride myself on ensuring that disputes are resolved in a timely and cost effective manner, and key commercial objectives are met. This includes using alternative dispute resolution mechanisms, such as mediation, and, where appropriate, a robust approach to the court process. I am experienced in dealing with matters in both the County Court and the High Court. I am a passionate follower of the mighty All Blacks. "Chris Darvill is recommended for his knowledge in partnership and shareholder disputes"